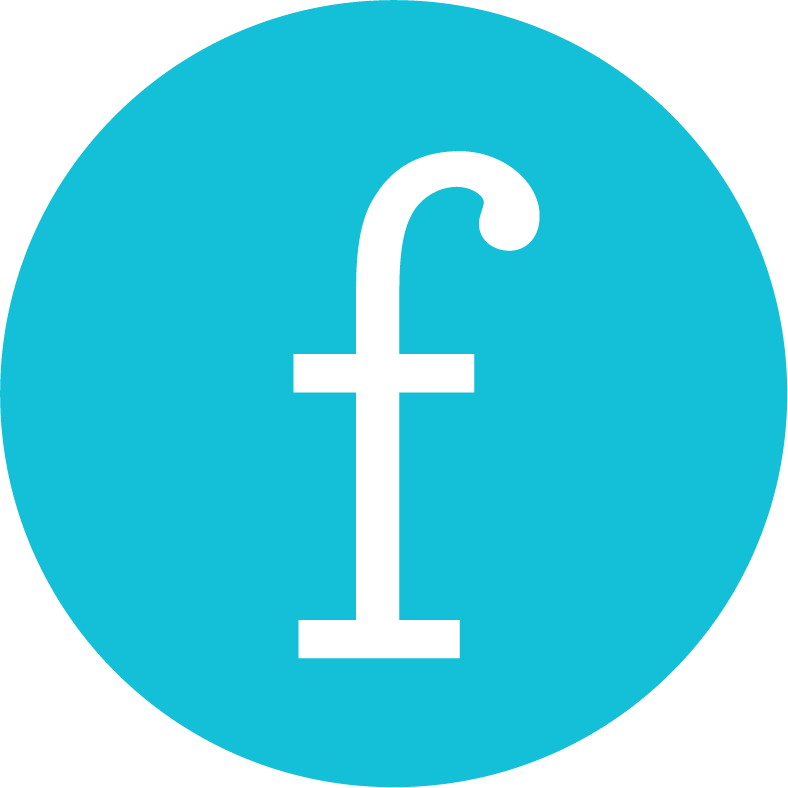 Fratelli Bakery was our first client 11 years ago. So when they decided to take their bakery to the streets in 2017, they called Flipside to design a truck that was equal parts old-world Italian (a throwback to owner Marco’s family roots in Venice) and hipster-modern to appeal to the growing trendy Food Truck market in Vancouver, BC. 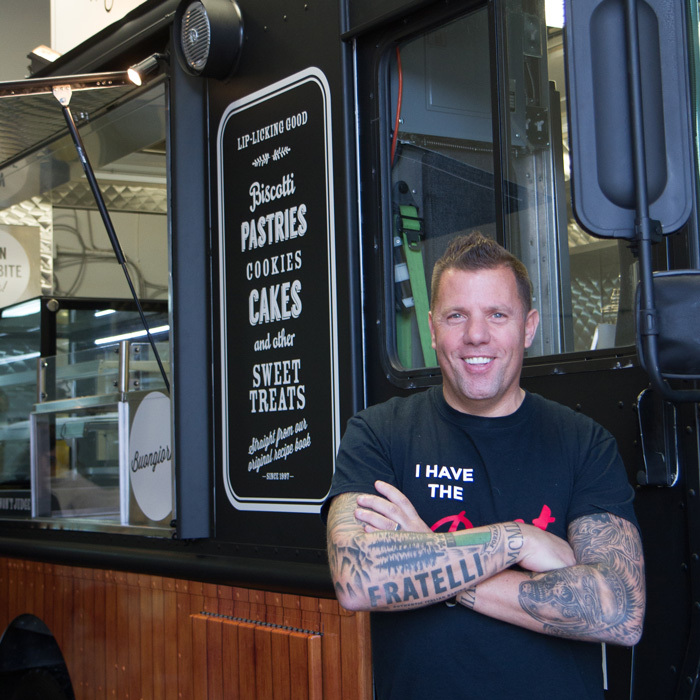 Fratelli is a community staple in Vancouver. They’re the nicest people. They are proudly Italian. And they love love love connecting. So we made sure that the messaging on their truck was as personable, adorable, inviting, and delicious as the people who run the bakery itself. Using the existing brand elements and palettes, we opted for an all-black matte truck with wood-paneling to give that romantic, Italian café feel. We coupled it with dollops of Italian phrases and Fratelli stories, so that whether driving by or standing and staring at the menu, everyone would feel like they were included in something special. The truck’s pop-up sign is a surefire indicator that something special has arrived roadside. 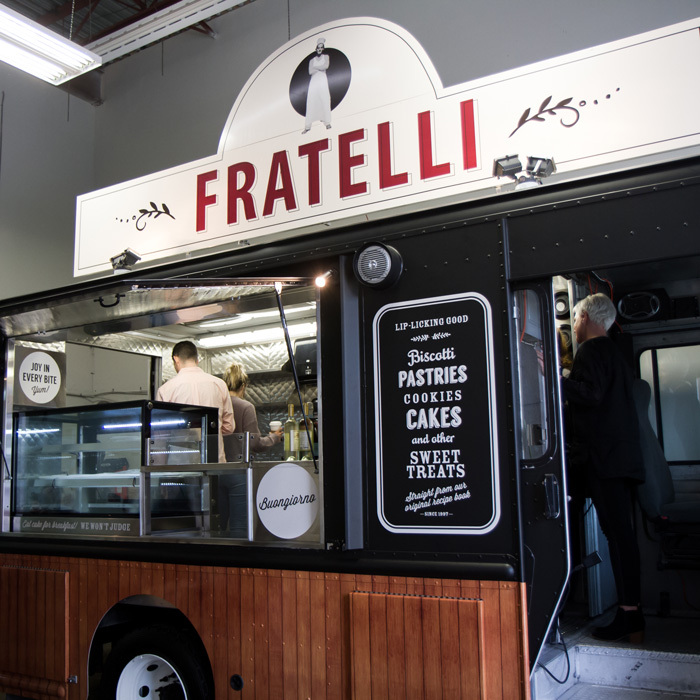 The driver pops it up when parked so from far and wide, it’s easy to pinpoint where the Fratelli food truck is. 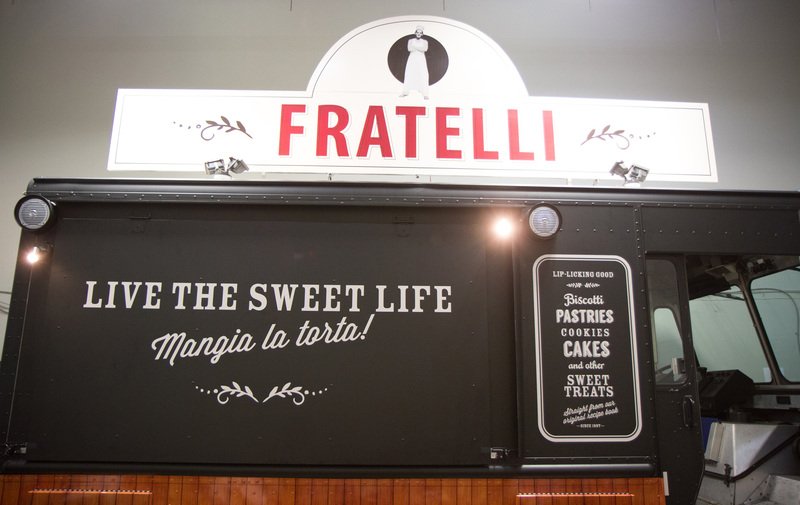 We carried the cheeky, fun, Italian content inside the truck with custom vinyls the keep the customer experience from exterior to interior smooth and downright drool-worthy.